American Profit Recovery has successfully served the debt collection needs of many different types of schools, organizations and providers of recreational and instructional classes including: colleges, universities, private schools, public K-12, childcare/daycare centers, test prep centers, karate schools, dance and gymnastics schools and others. We have expertise in recovering monies owed from tuition, student accounts, parking fees, student health, contracts, lab fees, meal plans, books and materials, ongoing contracts, and other miscellaneous charges. We approach students and parents respectfully to settle overdue accounts while also presenting solutions to their outstanding debt. We know you want to keep your students and our diplomatic and respectful approach has that goal in mind. Relationships are important in any business and are particularly vital when working with students and parents at schools and universities. We understand the delicate nature of collections when it comes to these relationships and have helped countless schools of all types recover money owed to them. American Profit Recovery is comprised of a knowledgeable team with experience in the education industry. 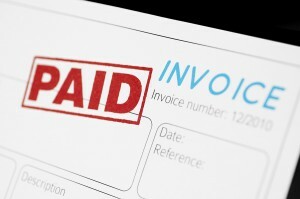 Our team works hard for you, getting your accounts receivables back on track quickly. We will work diligently to retain students while keeping your reputation intact with parents and others that may be responsible for paying the bills. Let our team show yours just how effective we can be for your organization. Contact us today!